The first thing you'll notice is the incredible pricing of these products, they were designed to allow you to bring MOR into your everyday life with its affordability whilst still delivering quality products beautifully finished with that elegant MOR touch. This range may have less decadent packaging than it's original MOR cousins, but let me tell you it has definitely not compromised its formula, quality or addictive perfumery scents. I had the pleasures of trying out a few of these new products from the Neroli Clementine range and they are every bit as good as good as MOR's main counterparts. Rich and silky texture this stuff melts straight into skin. No greasy feeling here - instead, its leaves skin feeling velvety and the other day when I was having the smudge panda eye look, I actually used dabbed a bit of this onto a tissue and used it as a cream makeup remover under my eye at my work. It work like such a charm and I smelt so good afterwards as well. 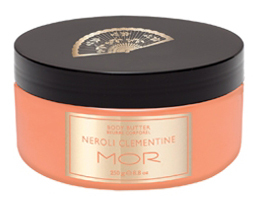 Now I'm no connoisseur of scent names and initially didn't know what Neroli or Clementine were but I loved the slightly sweet mandarin citrus fragrance this body butter imparts. 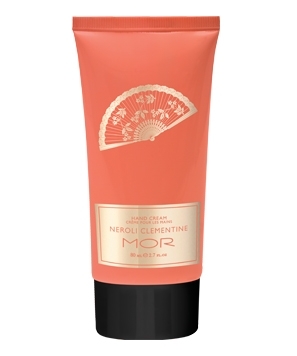 When I found out that Neroli was actually bitter orange essential oil and Clementine another mandarin scent, and this body butter also contains Yuzu, a Japanese mandarin and sweetened candy orange, I realised this technique of complementary subtle layering is why I want to keep slathering this stuff on my legs and arms. Lighter than the body butter so even more quickly absorbed, it bestows the same wonderful fragrance as the body butter. It spreads easily and with shea butter, conconut oil, glycerin and aloe formula, this rich yet fluid cream soothes hands to keep them soft, supple and fragrant for many hours. Oh how l love lightly scenting the house with sweet fragrances to remove any cooking odours and pet smells (my dog can be a wee bit smelly during summer). 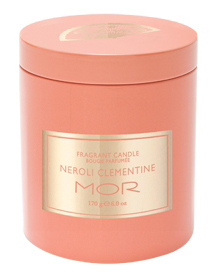 Made of soy oil and natural cotton wick, this candle is encased in its own pretty tin jar and burns for hours on end. The best part is the lid acts as a snuffler when you're done so there is no smoky smell when the candle outs out - nifty! 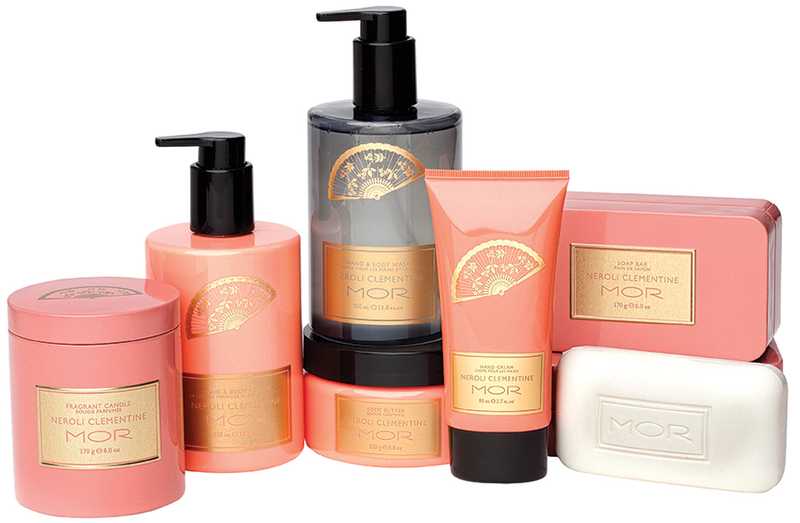 The MOR Essentials range is now available at David Jones, Myer and selected pharmacies nationwide.